A potential fatal complication of ischemic stroke is malignant middle cereberal artery infarction (mMCAi) often requiring decompressive craniectomy. Therefore, early detection is paramount and several predictors have been evaluated. One such factor is leptomeningeal or pial collateral circulation (CC) status which has been associated with outcomes and infarct volume. Traditional single-phase CT angiogram (CTA) may lack temporal resolution to accurately detect collateral status but multi-phase CTA may improve CC evaluation. The relationship between CC and development of mMCAi is unknown and the authors predict that poor CC status may be an early predictor of malignant edema. The study was a prospective study that enrolled consecutive ischemic stroke patients who presented less than 4.5 hours from onset with proximal anterior circulation occlusion. Collaterals were measured with a multi-phase CTA and scored on a 5 point scale with scores 0-3 given “poor” designation while 4 and 5 were stratified as “good”. The primary outcome was presence of mMCAi. In total, 81 patients were enrolled. 15 developed mMCAi with 5 requiring surgery. mMCAi patients presented more often with ICA occlusion and expectedly, had significantly higher infarct volume. 38 patients were identified as poor CC and there was significant association with mMCAi evolution. In the multivariate analysis, poor CC status was the only independent predictor of mMCAi. This study shows that poor collateral status is an independent predictor of developing malignant infarction, especially in patients who did not achieve recanalization. Multi-phase CTA can identify patients who may be at higher risk of developing malignant edema, potentially requiring decompressive surgery. Early surgery can potentially improve prognosis and outcome. A potential limitation to this study was the low number of patients, especially in the mMCAi group (n=15). Furthermore, obtaining multi-phase CTA and timely radiological interpretation may not be readily available which could limit its utilization. Any delay could preclude its use altogether as infarct volume can be calculated from follow-up imaging which also correlates with developing mMCAi. Stroke: World Stroke Day is on Thursday the 29th October 2015. The World Stroke Organization’s theme for World Stroke Day 2015 is ‘I am Woman’. What is the most important message for women when it comes to stroke? Dr. Bushnell: The most important message for women is to know what a stroke is, what to do if one is occurring, and how to prevent a stroke. Women have unique risk factors, including pregnancy complications and use of hormones, so they need to know that these are risks of stroke. One of the key messages of our stroke prevention in women guidelines is that women with a history of preeclampsia (high blood pressure during pregnancy plus protein in the urine) are at risk for stroke for up to 30 years after childbirth. Stroke: Are women at higher risk of stroke? Dr. Bushnell: No, if you measure stroke incidence, men are at higher risk. But, because women live longer, they are at higher risk over an entire lifetime. Women have a 20% lifetime risk of stroke after age 55, whereas men have a 17% lifetime risk. Stroke: How does pregnancy affect a woman’s risk of stroke? Dr. Bushnell: Yes, it appears to double the risk of stroke compared to a woman who is not pregnant. This is especially true in the postpartum time period, and applies to most stroke types, including ischemic and hemorrhagic stroke, as well as cerebral venous thrombosis. Stroke: Does taking birth control pills or hormonal replacement affect a woman’s stroke risk? Dr. Bushnell: Yes, birth control pills double the risk of stroke compared to women not taking these pills. However, the absolute risk of a healthy young woman taking these pills is still low. For example, a young woman’s risk of stroke may be 10/100,000, and taking OCPs increases this to 20/100,000. However, if a woman has high blood pressure, high cholesterol, diabetes, obesity, or smokes cigarettes, all of these accentuate the risk of stroke in a woman using OCPs compared to women not taking OCPs. For hormone replacement, older women have about a 40% increased risk of stroke compared to women not taking the drug. It is important to realize these women were at least 10 years past menopause on average. The recent study of women who are recently menopausal (within 5 years), had no significant increase in markers of stroke risk (carotid wall thickening) compared to women not using hormone therapy. Therefore, hormone replacement is not recommended for older women and those with an increased risk of stroke (such as hypertension, diabetes, high cholesterol, prior heart disease). Stroke: Are women underrepresented in clinical research studies of stroke? Dr. Bushnell: Yes, with only a couple of exceptions, women make up 35% to 40% of stroke prevention trials. Stroke: What can health care providers do to reduce the burden of stroke in women? Dr. Bushnell: Improve stroke awareness and what to do, and promote a healthy lifestyle. Women who incorporate the most healthy strategies in their daily lives have a 70% decreased risk of stroke compared to women with none of these strategies. This includes regular physical activity, healthy diet, normal body mass index, moderate alcohol use, and not smoking. Another important strategy is to maintain normal blood pressure. The healthy lifestyle can do this, but women tend to have high blood pressure at older ages, and these women are also less likely to have their blood pressure controlled. Therefore, education about blood pressure in older women is extremely important. Stroke: A recent study showed that 81% of stroke center directors are men. What can be done to increase the role of women in stroke leadership positions? Dr. Bushnell: For those of us in these leadership positions, hopefully we function as role models to promote more women as stroke center directors as a career choice. More women are going into stroke fellowships, so this will take time for the next generation to reach these leadership roles. Given the multidisciplinary nature of stroke centers and the tendencies for women to be collaborative, I believe women are likely to be successful in this role. Increasing evidence indicates that small vessel-type intracranial disease is not a homogeneous entity. Pathologic studies demonstrate that the radiographic manifestations of small vessel disease such as white matter hyperintensities (WMHs) and lacunar infarctions have distinct histopathological appearances. 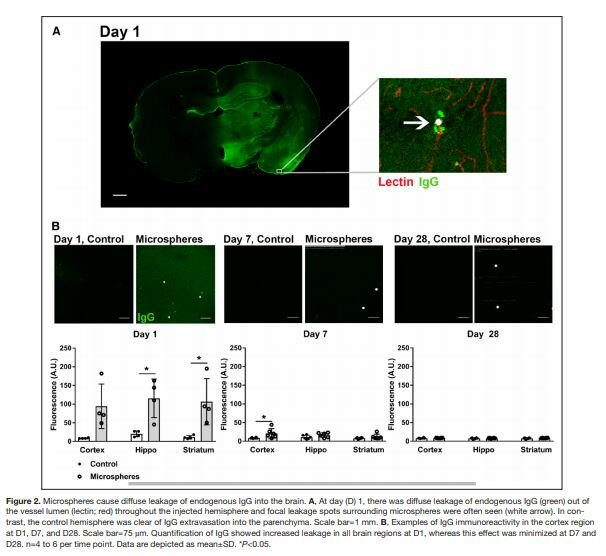 Even for lacunar infarctions, the work of CM Fisher and others dating back several decades suggest a different pathogenesis for larger lacunes (i.e., microatheroma formation) versus smaller lacunes (i.e., lipohyalinosis). Given this, it is reasonable to hypothesize that the risk factors for these different processes also differ. Dearborn et al. sought to investigate these potential associations using the Atherosclerosis Risk in Communities (ARIC) study cohort, specifically evaluating radiographic progression of small vessel disease reflected by MRI over 10-years. The ARIC study was designed to investigate the causes of atherosclerosis and its outcomes and includes a prospective cohort that began recruitment in 1987. The analytic population for the current analysis consisted of 934 participants without a prior history of stroke who had two brain MRI scans approximately 10-years apart that were analyzed for the presence and size of incident lacunar infarctions as well as the presence and extent of white matter hyperintensities using both a visual scale and volumetric measurements. Risk factor assessment included components of metabolic syndrome (i.e., abdominal girth, HDL, blood pressure, triglycerides, fasting glucose) as well as an ad-hoc Insulin Resistance score, which was intended to examine the clustering of metabolic risk factors. The IR score included seven variables selected to exclude highly correlated factors and included log-transformed values for insulin and homeostatic model analysis for insulin resistance (HOMA-IR), BMI, waist-to-hip ratio and waist circumference. Elevated triglycerides and decreased HDL were associated with an increase incident of all lacunar infarction, but not WMHs. Systolic blood pressure was associated with WMH and incident lacunes in unadjusted models, but did not reach statistical significance for lacunes in adjusted models. No significant difference was observed comparing the progression of WMH in patients with and without metabolic syndrome, but patients with metabolic syndrome did have more incident lacunes, with the increase being predominantly due to an increase in the number of larger lacunes. Higher insulin levels, HOMA-IR and BMI were not associated with either measure. Increasing HOMA-IR and BMI were associated with incident large lacunes, but only in unadjusted models. Abdominal obesity as measured by waist circumference and waist-to-hip ratio was associated with incident lacunes, with a larger effect size for larger lacunes. The IR score was associated with increased odds of incident lacunes, with increased effect size for larger lacunes. The results of this cohort study reinforce previously held assumptions, provide suggestions of novel associations, and question some previously reported associations. Given the different histopathologic appearance of WMH, small lacunes and large lacunes, the different associations found in the study are not surprising. The association of WMHs with hypertension and not with other metabolic factors mirrors the pathophysiology of leukoaraiosis. The role of atherosclerosis in the presumed pathogenesis of larger lacunes seems to be supported by its association with dyslipidemia. The IR score may represent a useful measure of the metabolic sequelae of insulin resistance aside from the effects of hyperglycemia. The study does have limitations. It is based on an observational cohort, which limits statistical adjustment for potential cofounders. The categorization of lacune sizes established in prior ARIC studies is somewhat arbitrary, but reflects the pathologic spectrum of lacunar disease for separating what are probably distinct pathophysiologic mechanisms for Fisher’s two “types” of lacunar infarcts. Prospective studies focusing on interventions for these presumed causative factors would further support these associations and potentially provide novel therapeutic targets. 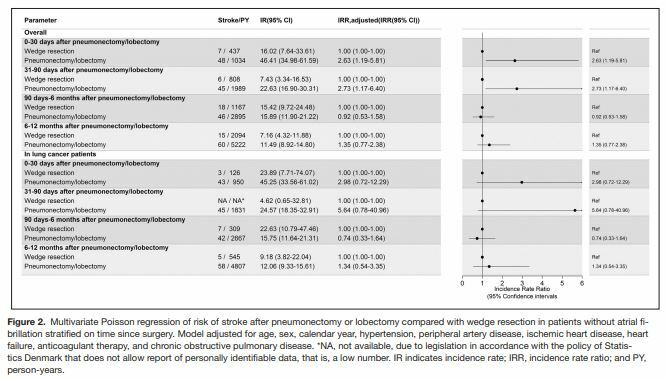 In this issue of Stroke, Dr. Yarbrough and colleagues present a timely review and meta-analysis of the recent flurry of endovascular thrombectomy and intra-arterial thrombolysis trials. The utility of endovascular treatment (ET) for acute proximal, large-artery occlusion is well accepted. The authors utilize meta-analysis to explore the benefit of ET in subgroups. In addition to the five unequivocally positive trials this year (MR CLEAN, ESCAPE, SWIFT PRIME, EXTEND-IA and REVASCAT), they included IMS III and Synthesis. The latter two studies were limited by poor patient selection and use of first-generation devices. Unsurprisingly, analysis of pooled data showed a favorable odds ratio for good outcome (mRS 0-2), especially in studies that required confirmation of large arterial occlusion (OR 2.00). In the latter trials, the number needed to treat to achieve one good outcome with mRS 0-2 was 5 patients. Notably, younger and older subgroups (not explicitly defined) benefited from ET. For patients who had not received IV-tPA prior to ET, the OR for good outcome of 1.59 was not statistically significant. Patients with moderate or severe strokes benefited, though patients with higher NIHSS had greater benefit. Last, mortality and ICH were not modified by ET. Overall, the results of this meta-analysis do not change practice. ET is already well-accepted. However, these data importantly encourage clinicians to not withhold ET from older patients and those with moderate deficits, as both groups, when appropriately selected, stand to benefit from ET. Additionally, the data suggest that patients receiving ET without having receiving IV-tPA may not derive benefit. Therefore, patients being considered for ET should still always expediently receive IV-tPA. Routine clinical use of non-vitamin K antagonists (NOAC) has revolutionized anti-coagulation pharmacotherapy; ending frequent monitoring that was required of vitamin K antagonists. This inability to evaluate level of anti-coagulation, however, has created a quandary in acute ischemic stroke management and urgent surgery. Point of care test (POCT) has been shown to provide prothrombin levels and accelerate time to thrombolyis and such tests have been influenced by NOAC. In this study, the authors attempted to determine the diagnostic accuracy of CoaguChek POCT in ruling out relevant concentrations of rivaroxaban, apixaban, and dabigatran. The study was conducted at a single center. Ischemic stroke patients receiving first doses of NOAC for secondary prevention were consecutively enrolled. Blood samples were collected at the following times: before drug intake, 30 minutes, 1, 2, and 8 hours, and prior to 2nd dose and tested using the CoaguChek XS Pro POCT. PT, PTT, and anti-Xa activity were also measured and anti-Xa assay was calibrated to determine rivaroxaban and apixaban concentrations. In total, 60 patients were enrolled. Results demonstrated that results of CoaguChek POCT strongly correlated with rivaroxaban but not with apixaban or dabigatran. Anti-Xa assay also accurately detected low rivaroxaban concentrations but such assays are not routinely available. The results suggest that POCT-results can be used to rule out relevant rivaroxaban concentrations especially if a low cut-off value is used (<1.0). This is superior to normal PT and PTT values. POCT can be used to in direct clinical practice to determine potential eligibility for thrombolysis. A limitation in this study was assessing NOAC concentrations essentially within the first 24 hours when steady-state has not been achieved. The results should be validated in larger, multi-center trials and ultimately involve trials where treatment decisions are based on POCT results. Cerebral vasospasm (CVS) is a common complication of aneurysmal subarachnoid hemorrhage (aSAH), and is strongly associated with delayed cerebral ischemia (DCI). The gold standard for the diagnosis of CVS is digital subtraction angiography (DSA), but the utility for routine screening with DSA during the early course of aSAH is unclear. Here, the authors evaluate the utility of screening by assessing the frequency of significant CVS in asymptomatic vs mildly symptomatic or unassessable aSAH patients to elucidate whether CVS, even in the asymptomatic patient, might be a clinically useful predictor for subsequent DCI. In this study, 116 patients underwent screening DSA, of which 79 were asymptomatic from DCI prior to undergoing screening (Group I), 25 were symptomatic and had at least one episode of symptoms concerning for DCI (Group II), and 12 had too poor of an exam to reliably detect symptoms of DCI (Group III). These groups were heterogeneous in that patients in groups II and III were more likely to have a higher Hunt and Hess, as well as modified Fischer scores, indicative of more severe aSAH, at least radiologically. Of the 79 patients in group I, 14 had CVS on screening DSA, but none went on to develop DCI during the hospital course. 10 of these patients did receive treatment for CVS, including intraarterial verapamil in 2 patients, vasopressors for headache in 1 patient, and high rates of IV fluids to maintain euvolemia in 7 patients. Of the 25 patients in group II, 14 patients went on to develop definitive DCI, 12 of which had CVS on the screening DSA and 2 of which did not. Of the 12 patients in group III, 6 patients went on to develop DCI, 4 of whom had CVS on screening DSA and 2 of whom did not (represented in table below). The sensitivity of and specificity of CVS on screening DSA for subsequent DCI was 80% and 71% respectively for groups I and II in total, with an OR of 9.6 for the development of definitive DCI in patients with CVS on screening DSA. Prior stroke or transient ischemic attack and the presence of Alzheimer’s Disease (AD)-like amyloid-beta protein deposition in the brain are associated with cognitive impairment, but their independent contribution to cognitive deficits remains a topic of investigation. Liu and Wong et al. carried out a 3-year longitudinal study in a group of patients with post-stroke cognitive impairment to assess the impact of concomitant amyloid-beta deposition as shown by in-vivo Carbon-11-labeled Pittsburgh Compound B (11C-PiB) positron emission tomography (PET) imaging. The report is based on a substudy of the Stroke Registry Investigating cognitive Decline (STRIDE) study, which recruited consecutive stroke/TIA subjects at a single university-affiliated hospital in Hong Kong over 2-years. Cognitive assessment utilized Clinical Dementia Rating (CDR), Cantonese Mini-Mental State Examination (MMSE)and the Hong Kong version of the Montreal Cognitive Assessment, initially performed 3 to 6 months after the index event, to establish baseline cognitive functioning. A total of 72 subjects with cognitive impairment (defined as CDR ≥0.5) were selected, with 36 having a CDR ≥1 and meeting DSM-IV criteria for dementia and 36 being diagnosed as mild cognitive impairment. Patients with probable AD prior to their vascular event were excluded. All subjects received a C-PiB PET scan. Based on the results, 14 PiB-positive subjects were categorized as having mixed vascular cognitive impairment (mVCI) and 58 PiB-negative subjects were categorized as having pure vascular cognitive impairment (pVCI). Longitudinal cognitive assessments were performed at baseline and years 1, 2, and 3 following the index event using the same measures. The patients with amyloid-beta deposition on initial imaging had significantly lower MMSE scores at year 3 compared to baseline (p=0.020), as well as lower overall 3-year scores (p=0.037) as compared to the pVCI group. The overall change in MMSE score over 3-years wasnot significant for the pVCI group (p=0.208) with a significant difference in the change in MMSE between the groups score over time (p=0.007). Although the mVCI group had a more rapid annual rate of decline, that amount was constant across years, whereas the pVCI group had a faster decline in cognition over the first year, but remained relatively stable thereafter. The findings were not as dramatic comparing MoCA scores, with a linear mixed model showing a non-significant trend for a difference in changes between the two groups over time (p=0.089). The memory domain had the greatest impact on the differences, with the mVCI group having a significant decline (p=0.038) that was not present in the pVCI group. In addition, quantitative standard uptake value ratios (SUVR) obtained with PET imaging showed that higher PiB SUVR was associated with greater average annual declines on the MMSE (p=0.035), and MoCA (p=0.006; particularly for the visuospatial, p=0.015, and executive function, p=0.023 domains). This study provides a unique insight into the relationship between vascular and amyloid pathologies on cognitive impairment and dementia. The findings are particularly interesting given how similar the two groups were at baseline, suggesting the potential usefulness of PET imaging in predicting further cognitive deterioration in post-stroke patients. This study also reinforces the need for clinicians to assess for comorbid contributions that could contribute cognitive decline in patients with vascular cognitive impairment as careful management might forestall further worsening related to cerebrovascular disease. The study does have important limitations, particularly the relatively small sample size in the mVCI group, as well as a high dropout rate (18% due to death or other reasons). In addition, the MoCA was too challenging and not administered in patients with more impaired cognition, possibly resulting in the lack of differences between groups. Brain MRI was not obtained in 40% of the subjects, and additional structural imaging would have allowed more precision in characterizing the subject’s vascular disease burden. Additional longitudinal studies with larger sample sizes and subjects across the spectrum of cognitive deficits will be needed to verify these findings. Up to one-third of ischemic strokes are of unknown cause. Although implantable loop recorders are helpful at detecting atrial fibrillation, many cardioembolic appearing strokes remain without an etiology. For example, in a recent study, despite three years of heart monitoring, 70% of patients with cryptogenic stroke had no evidence of atrial fibrillation. Heretofore we have believed that the relationship between atrial fibrillation and stroke is straightforward, but Dr. Kamel et al challenge this traditional model by postulating that perhaps atrial fibrillation is merely a marker or consequence of atrial disease and that it is actually atrial disease that is a risk factor for stroke. In the current study, Dr. Kamel et al evaluate the relationship between left atrial disease, as measured by P-wave terminal force in lead V1, and the risk of stroke while adjusting for atrial fibrillation and other stroke risk factors. P-wave terminal force is an established electrocardiographic marker of left atrial cardiomyopathy without necessarily having atrial fibrillation and can be easily calculated on a standard EKG. In order to test the hypothesis that atrial disease may lead to thromboemoblism without atrial fibrillation, atrial disease should be specifically associated with cardioembolic or cryptogenic stroke subtypes as opposed to non-cardioembolic stroke subtypes. The authors measured the P-wave terminal force in 241 patients with ischemic stroke and a randomly selected cohort of 798 patients without ischemic stroke. P-wave terminal force in lead V1was indeed associated with the composite of cryptogenic and cardioemoblic stroke, but not non-cardioembolic stroke subtypes. In addition, in a sensitivity analysis that excluded any patient with atrial fibrillation, the results were unchanged or stronger. However, adjustment for left atrial size on echocardiography attenuated the results. Limitations include the small sample size, the fact that two people manually calculated the P-wave terminal force and the inter-rater reliability was only moderately reliable, and the lack of more definitive methods to rule out atrial fibrillation. Overall, the manuscript questions the long believed understanding that atrial fibrillation causes stroke. Instead, atrial fibrillation may merely represent part of the spectrum of atrial cardiomyopathy, which in itself may lead to thromboembolism. Furthermore, if proven true, the ease and cost-effectiveness of simply checking an EKG may prove to be an efficient way to assess for thromboembolic risk as compared to years of heart-rhythm monitoring. Post-tPA (Tele)Stroke Care: Stay Local or Drip-and-Ship? The American Stroke Association and The Joint Commission have designated Primary Stroke Centers as “hospitals that meet standards to support better outcomes for stroke care” and Comprehensive Stroke Centers as “hospitals that meet standards to treat the most complex stroke cases”. Ideally, all stroke patients would be treated at these hospitals, by specialists who understand the complex pathophysiology and potential complications associated with stroke. However, transport is often costly and time-consuming, and families are burdened with traveling a long distance to be with their loved one. In addition, delaying other medical treatment in order to transport to a stroke center may be dangerous. ​With the development of telemedicine technology, we are able to provide advanced stroke care to patients who previously had no access to stroke specialists as a result of their isolated geographical location. Telemedicine has increased the tPA treatment rates in stroke patients at local hospitals. Some of these patients are treated locally then transferred to the hub hospital, and others are treated and remain at the local hospital for the duration of their post-stroke care. A study of the UPMC telestroke network found similar safety and functional outcomes in patients treated at local hospitals using telemedicine compared to those patients treated with tPA at the telestroke hub hospital. The authors of this study delved further into differences in post-stroke care of 272 patients treated with IV tPA at a telestroke hub, 73 “drip-and-ship” patients, and 134 “drip-and-stay” patients treated at a local hospital who completed their treatment locally. Patients who had endovascular treatment were excluded. For the “drip-and-stay” patients, the telemedicine consultant was only involved in the patients’ care for the first 24 hours, then the local neurologists took over. Of 134 “drip-and-stay” patients, 95 were treated before the spoke hospitals received Primary Stroke Center certification. The “drip-and-stay” patients were older than the hub patients (76 vs 72), had less severe strokes (NIHSS 9.5 vs 12.7, p<0.001) and fewer large vessel occlusions (12% vs 36%, p<0.001) than the hub patients. These are expected findings as more severe strokes are often transferred to a hub center for intervention or higher level of neurocritical care. There was no difference in onset- or door-to-needle times, nor in rates of symptomatic intracranial hemorrhage. However, the “drip-and-stay” patients also had higher risk of adjusted in-hospital mortality (OR 13.3) and longer length of stay (OR 4.7 to stay longer than 6 days) compared to the hub patients. The “drip-and-stay” patients had lower risks of intubation and fever compared to hub patients. The other post-stroke complications (pneumonia, UTI, GI bleed, constipation, seizure, new onset AFib, MI, and falls) were similar among groups. The “drip-and-stay” patients who were deceased at 90 days had lower NIHSS scores than the hub patients deceased at 90 days (14.4 vs 18.7, p=0.005). Several factors may have confounded this finding – older age of “drip-and-stay” patients, and causes of death which did not depend on NIHSS (and which occurred at similar rates among groups). Drip-and-stay patients also had decreased long-term survival (p<0.001) compared to hub patients. The “drip-and-ship” patients were similar to the hub patients on baseline characteristics as well as outcomes. There was no difference in most post-stroke complications, although the local hospitals may have been less efficient at treating these given the longer lengths of stay. The difference in NIHSS is likely due to more severe strokes being transferred to the hub hospital (either for endovascular intervention or a higher level of care), but may also reflect an underestimate of NIHSS score by telemedicine as compared to in-person evaluation. Since the outcome measures are adjusted for age and baseline NIHSS, if the NIHSS recorded via telemedicine consult was underestimated, the outcome measures may not have differed as much between the spoke and hub hospitals. Ideally, as more local hospitals become Primary Stroke Center certified, stroke codes will be taken exclusively to PSCs, then transferred as needed to CSCs for higher level of care. The results of this study do not indicate, however, a major shift in outcomes as local sites became PSC certified. As part of a coordinated telestroke system, implementation of quality measures regarding post-stroke care will be critical to ensuring that patients treated via telemedicine who remain locally have the best possible overall care (both acute and post-stroke). The telestroke consultant may wish to remain available to local physicians for ongoing management, and we should make efforts to include treating providers at local hospitals in stroke education and quality improvement initiatives. Additionally, more studies are needed to confirm these findings before discounting the quality of post-stroke care at local hospitals. In the study titled “Differential Vascular Pathophysiologic Types of Intracranial Atherosclerotic Stroke: A High-Resolution Wall MRI Study” the authors hypothesize that intracranial stenosis due to atherosclerosis (ICAD) may have subtypes of braches occlusive disease (BOD) and non- BOD which may differ in arterial remodeling and plaque characteristics using high resolution MRI. Patients with ICAD (n=80) were divided into two cohorts, patient with BOD (defined as patient with deep infarctions within the striatocapsular area) and non-BOD group (with infarcts beyond the striatocapsular area such as cortical infarctions, regardless of any subcortical deep infarcts). They included patients with MCA and basilar artery involvement. They had 45% patients in the BOD subgroup. Vascular risk factors and laboratory results were similar between BOD and non-BOD patients. Using high resolution MRI, patients in the BOD group had milder stenosis than patients in the non-BOD group (stenosis degree: 40.7 ± 27.4% vs. 74.5 ± 19.9%, respectively; p<0.001). Most patients with BOD (78.1%) did not show positive remodeling, whereas more than half of patients in the non-BOD group (52.8%) showed positive remodeling (p=0.004). Although all symptomatic vessels in the non-BOD group showed enhancement, a substantial proportion of symptomatic vessels in the BOD group (25.0%) were non-enhancing (p=0.003). Both BOD and non-BOD groups showed similar enhancement patterns; most of them were eccentric (BOD: 92.6% and non-BOD: 90.7%). However, the enhancement location was different. Enhancement was more frequently distributed at the superior half of the MCA or the posterior half of the basilar artery in the BOD group, where the perforators arose, compared to the non-BOD group. As the number of ICAD stenoses increased, the degree of stenosis also increased in the BOD group, although the enhancement area did not increase. In contrast, the enhancement area got larger as the number of stenoses increased in the non-BOD group. The degree of stenosis did not correlate with increasing number of stenosis in the non-BOD group. Intracranial stenosis has been a prominent risk factor for stroke and this study suggest that there may be different subtypes with different pathophysiology. The study has some interesting findings that patient in the non-BOD group had more positive remodeling and also the BOD group area of remodeling / enhancement was more towards the perforators’ ostia. As suggested by the study, this understanding of wall remodeling will definitely help guide treatment strategies in these patients.